Excellent service!! I don’t have any complaints. Very helpful soon as I walked in the door....can't wait to get my new glasses!!! The JFK location is very easy to get to since I work downtown. I was greeted with a lovely smile. Dr. Wu is nice and asked the right questions and provided multiple options for contact wear. 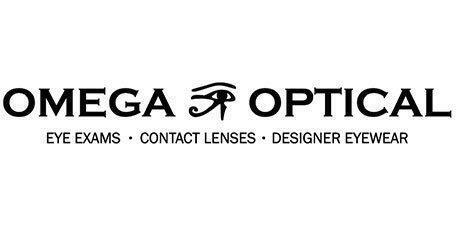 I would recommend Omega Optical to family and friends. What an incredible staff they have at Omega Optical! Friendly, courteous, efficient, and professional. Booking an appointment online couldn't have been easier either. Above all else Dr. Wu is everything you want in an optometrist. I will be recommending Omega to all my friends and colleagues who are in need. Good service and very professional staff. Would appreciate a larger selection of glasses and weekend hours. A really great experience! Fast and easy. Professional, Friendly, and Well-Organized staff. Every one was professional and polite. I would recommend this place to anyone. Oohh, also a nice variety of frames. I had a great experience everyone was friendly and very professional. I would definitely recommend my family and friends. I had a wonderful experience from the time I arrived with the warm smiling front desk associates to the super friendly personable Doctor who examine my eyes. I recently lost my mother the beginning of this month and haven't smiled in weeks. The doctor had me laughing and smiling during my examination. She was sooooo super personable I felt like I known her for years. I said that to say you never know the impact of good customer service have on a person. You never know what a person is going through when they come through your establishment. Thank You Thank You For The Great Experience. I will be sending you some customers. Nice office and very nice staff! I would definitely recommend Omega Optical to others! My experience with Omega Optical was great. I like that they did an emergency rush on my glasses. I would refer customer to them. Very happy with there services. Believe when I tell you, Omega Optical values customer service! The entire process - from booking online to the hug goodbye - was a pleasant experience. Shout out to Dr. Golden for her "bedside manner" and fun personality! Sometimes doctor visits trigger anxiety but she talks to you during every part of the test, telling you what you might experience along the way. It shows that she loves what she does for a living! Staff was efficient and friendly. I was able to visit over my lunch break.